Hi there! Claire here to set the challenge this week. I decided to go for a hidden element project, I think that the new cd that Nikky has created 'Sundae of Seasons' is so full of fab goodies that I keep finding more everytime I look. Hope you managed to catch the programme on Create and Craft on Monday! Thanks for all your lovely easel projects for last week and remember you can still enter the easel challenge until Sunday 12noon. GMT, it's certainly one of my favourite folds and I look forward to seeing what you come up with this week! Please bear in mind that we don't include you for prizes if you combine more than 10 challenges! Kris: I took the easy way out and made a card with a hidden element. 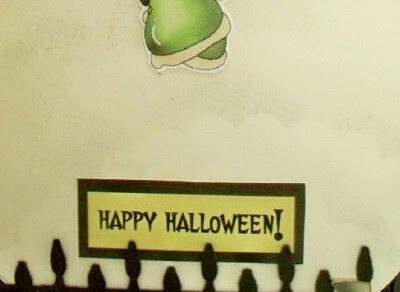 I just love the Halloween images on the Sundae Season CD and used the witch and some of the pumpkins along with some black and ivory cardstock and a Martha Stewart deep edge border punch. I perched the witch on the moon and the entire piece pulls out to reveal the sentiment (from last years Halloween download). Brenda - I have come up with this little box which I made on the scoreboard and covered with paper from the Paper Boutique CD and inside bobbing butterflies and flowers. The flower on the top is made from the same paper using three punches and spritzing with Glimmer Mist pearl. Tracy - I have made a sewing box with a matching card, I have used Sundae Of Seasons for all the elements . This part is from the spring section and I adore these as they lend themselves so well for doing vintage with. Jenny I've made a card/CD case. There's a hidden pocket on the front of the card for the CD & the ribbon ties to stop it from falling out. I also decorated the CD itself. All the papers came from Sundae of Seasons. Ruth: I've used one of the templates for my project - the Cupcake Box and have made it to look like a cupcake with chocolate base and pink fondant icing with sparkly bits on the top! I've used parts of two large sheets of card to make the box. And I forgot to put something in it before I sent it to Nikky! But just let your imagination run wild as to what could be inside! Fliss - I decided to make a simple gatefold card as this was a real challenge for me, having no printer, so I had to use leftover pieces from my Sundae of Seasons samples for Nikky. I made a floral wreath for the front which I covered with decorated papers from the CD. On the inside, also covered with paper, I added a greeting and a flower basket. All elements from the Autumn collection. And the hidden element. The yellow name plates are there just waiting to have a special message written on them for the recipient. You would need to put a little note in with the card explaining how to open up the middle though or they might miss it, lol. 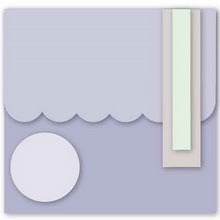 Lisa - I found a template that I love for a gable box that is so easy to make and I've decided to showcase the winter section from the new Sundae for Seasons CD. The box is made from one of the ditsy swirl background papers from the CD and the mug and holly leaves are from the winter section. This cute little box is just waiting to carry a nice sweet package of hot chocolate to a dear friend this holiday season! Good luck in entering the challenge - please remember the rules (no more than 10 challenges and to follow the brief) - you have until Sunday 3 October at 12noon GMT to link up your creation! 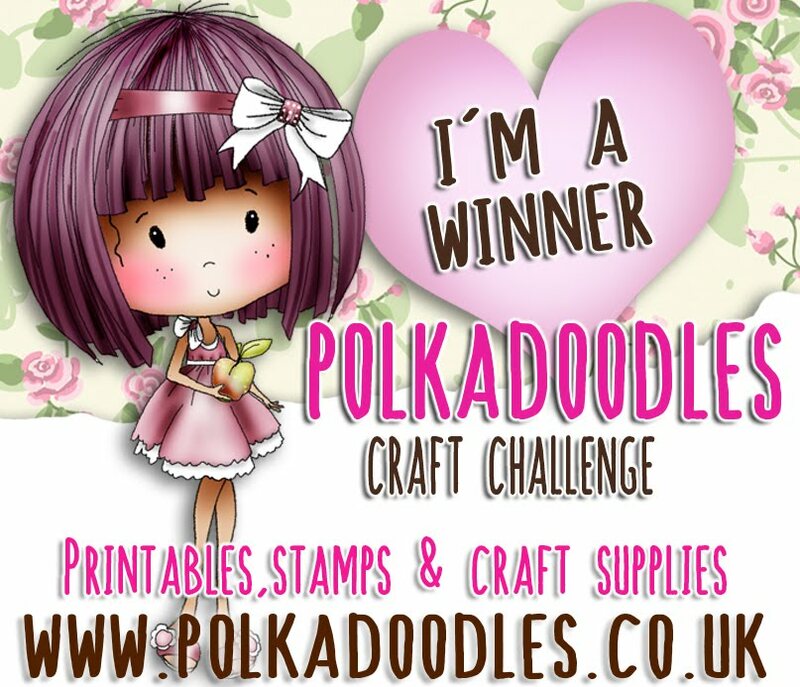 Hello peeps, it's Friday morning which means it time for another challenge at Polkadoodles. Well done to all 3 of you, fabulous work!! we can send you your goodies asap! I'd just like to also say thanks to everyone who said hello and bought the brand new CD - Sundae of Seasons at the Harrogate show last weekend, it was so, so busy and I know you are all sitting playing with it as this goes out because it was a complete hit! 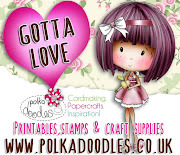 If you weren't at Harrogate you can get it on pre-order from the Polka Doodles website and we will be launching on Create & Craft TV on Monday 20th September at 10am! Well done all of you, please email Nikky for further details. Yes, I'm still addicted to these so would love to see your take on this style of card. 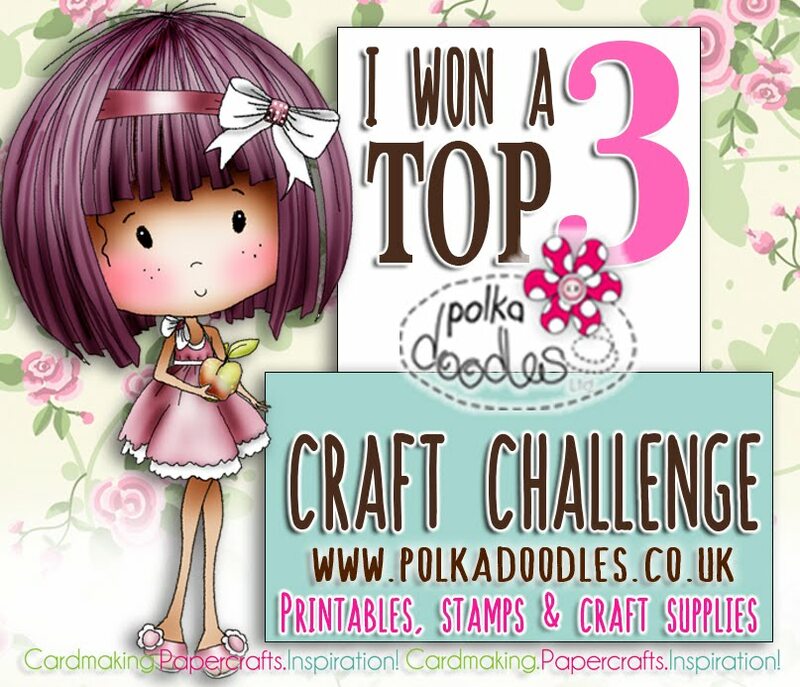 The challenge is open until Sunday 26 September at 12noon GMT and please remember that you can enter your Polkadoodle challenge card in up to 9 other challenges. Please link up with the blue frog at the bottom of the post. Here is the inspirational work the Design Team have come up with. 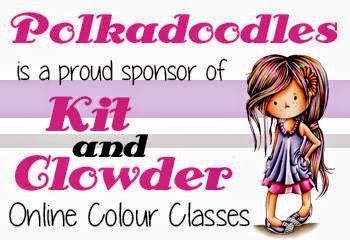 Don't you agree they have all done a fabby job, do pop along to their personal blogs to show them your appreciation for all their hard work here at Polkadoodles. I used Fairy Flutterby Gracie and papers from All Around and Everywhere CD to make an easel card. I stamped the image twice to decoupage her and coloured with Copics. Punched borders and corner using Martha Stewart eyelet lace and flowers and leaves from stash. Ruth: This is the first time I've made an easel card and after having a slight panic that I could not do it I managed to make one! I've used papers and elements from Sugar Birdies as I ran out of ink so had to use stuff that I had already in my stash pre-printed. I've made a calendar, curled the edges of the flower petals, added seed beads for centres and that is it! Stacey: ooh Brenda it's like you read my mind!!! I am totally obsessed with easel cards at the moment I think they are fab fab fab!!! Combine them with Polka Doodles and we are onto a winner!!! I have used the wonderful Mummy image form the new CD Sundae of Seasons and teamed it with the super spooky halloween papers!!! I finished off with a computer generated sentiment!!! 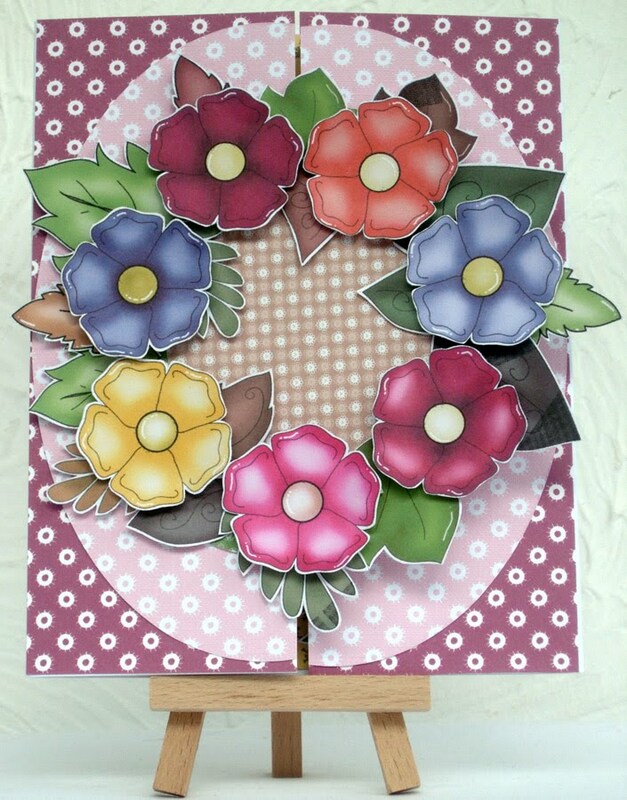 Kris: Had to miss last week's challenge but I love easel cards so didn't want to miss this one. I needed an anniversary card for some dear friends and the Love & Cherish CD has so many wonderful elements to use for this purpose. The backing paper is from there and all of the images are from the Twoo of Us collection. 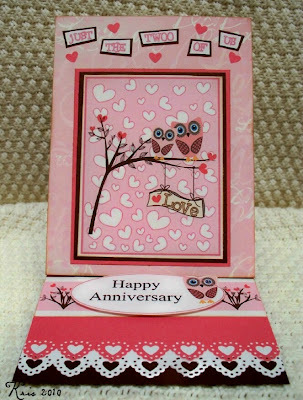 I also used a Martha Stewart border punch and some pink and brown card from my stash. 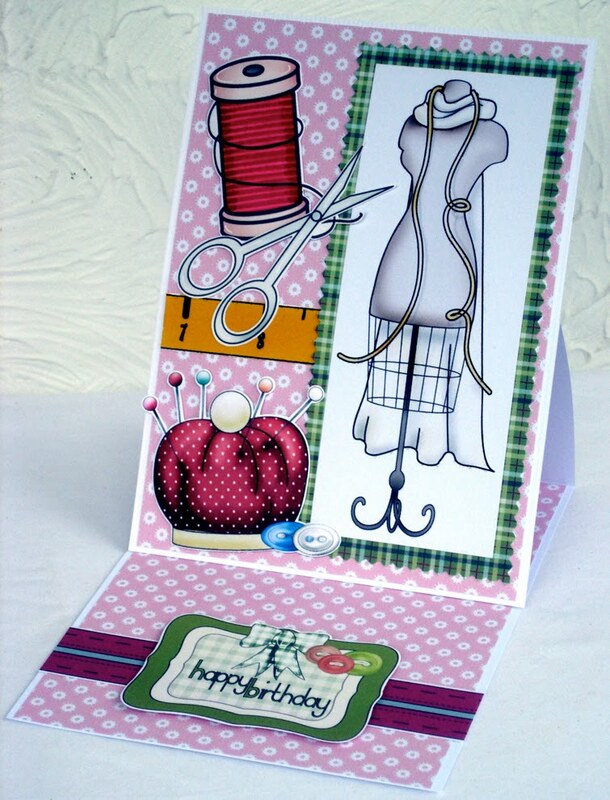 Tracy - I have used the NEW CD, SUNDAE OF SEASONS for this easel card, there's gorgeous ginghams on it, and who can resist this cutie, I just love the little clothes accessories too. I have added some sparkle with stickles but it hasn't come out too well on the photo. Claire - I'm with Tracy the new baby selection is fabulous!I have mixed the baby boy with some of the gorgeous buttons/hearts and bows embellishments. I have created a six point star easel for this one ! Lisa - I am in love with the Halloween Doodles Download bundle on the website! Polly pumpkin is just too cute and I decided to put her front and center on my easel card this week! The background papers are "scary" cute too! 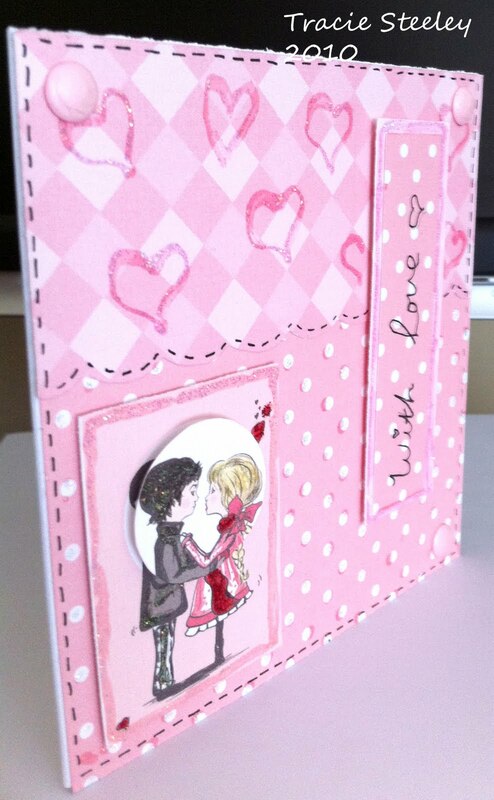 I've included 2 pics of the card so you can see the front and side views. 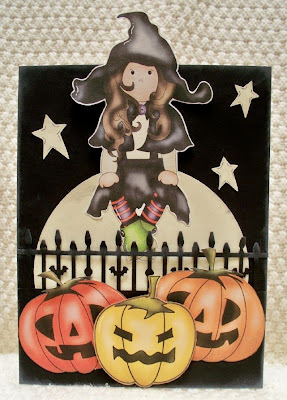 I had a lot of fun making this card and I can't wait to play with the NEW Halloween goodies on the brand new CD! Have a great weekend everyone! ﻿Fliss - I've made mine from the totally fabulous Sewing section of the absolutely fantastic new Sundae of Seasons CD which is my favourite yet as the paper collection is right up my street with its' vintage look. The Sewing section has the most gorgeous elements for all fans of sewing and knitting and is just perfect for me as my younger daughter is about to start a fashion design degree. 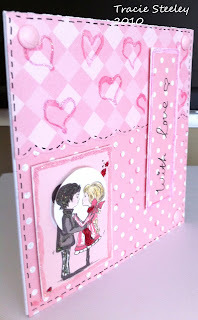 There are more pics of the card on my blog. Jenny The autumnal elements of the NEW CD really are fabulous. Not to mention the ace vintagey sentiments! All that was needed then was some glossy accents to make those red shoes pop! Didn't we all have a pair of those once? 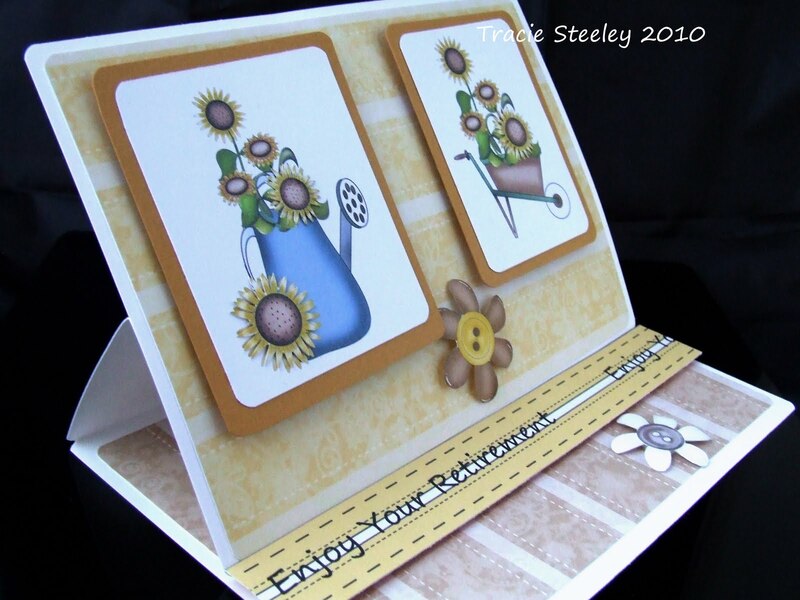 Dee : I've given my easel card an extra fold for added depth, I too have used the new cd Sundae of Seasons, and I've pretty much used elements from the summer section. It was very hard to choose though with so much yummy stuff on the cd. Good luck - the closing date is Sunday 26 September at 12noon GMT. I will be announcing the winner of the Aquamarkers competition next week so make sure you pop in to check it out if you entered. I've been so busy over the past month I dont know if I'm coming or going and Polka Doodles has some MEGA exciting things happening over the lead up to Christmas too so no rest for the wicked! Our next Create and Craft Show is 20th September at 10am and there will be a brand new launch which I am super excited about - the Design Team Dollies all reckon this one is the best yet, and I'm inclined to agree, I just love love love it! 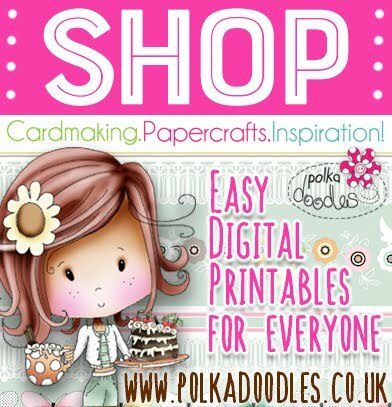 You might be able to get a pre-order and sneaky peek in next week on www.polkadoodles.co.uk if you're lucky!! Oh and if you're looking for some fab halloween images like the ones Ruth has used then get yourself over there! Before I forget, make sure you get your hands on a copy of this month's Creative Cardmaking magazine for some great PD projects from moi (well I think they're great anyway! 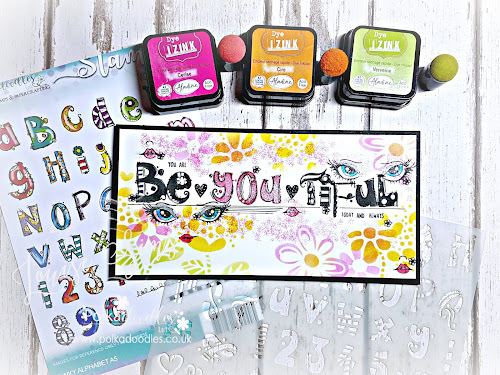 available from craft shops only) and make sure you get the next issue of Simply Cards & Papercrafts magazine to get your hands on some fab new PD papers and embellies too (on sale end of this month). It's actually quite easy - honest! Before we look at the samples from the Design Team, I need to announce the top three from week 34 which was also a sketch but to use just 3 colours. Congratulations! Please email Nikky for further details. Right, the sketch is below and please follow the rules! You have until Sunday 19 September at 12noon GMT to enter - good luck! Enfys - I turned the sketch on it's side, and used the poinsetta and pot from the Christmas template CD. I layered the flowers up quite a bit. I put three brads in the centre of the flowers. Brenda - I turned the sketch sideways and created a flap at the side with a greeting beneath using a Fairy Flutterby stamp. The paper is all from Paper Boutique and the flower made from the same papers using the Tim Holtz tattered floral die. Tracy - I have also rotated the sketch, the image is from the Back To Nature Cd, the flower was printed from All Around And Everywhere CD. And my papers are from Paper Boutique and All Around And Everywhere. 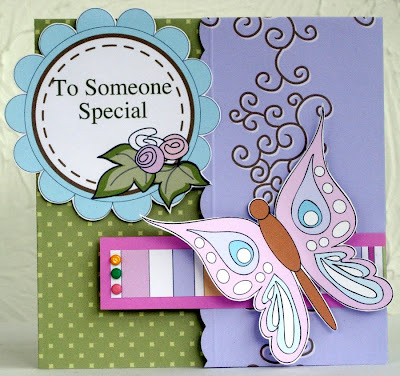 And one of my favourite stamps from the Fairy Flutterfly set Meeshelle is the little butterfly stamp. Claire - I think I must have been inspired by all the clean and simple challenges I have seen on the go at the moment.....Pretty much stuck with sketch as is, using imagery from All around and everywhere cd. Fliss - I've also rotated the sketch too so that the flap is on the right hand side. Most of the papers and elements are from the Paper Boutique CD, the Secret Garden and Floral Bouquet sections and the pretty butterfly is from the All Around and Everywhere CD. I added the 3 brads required to the opening bar. Ruth: I've been very naughty and used elements from the very soon to be released cd! I've gone for a Halloween themed card, have used a shaped flap, 3 brads and no ribbon in sight! The ghostly image is from the new cd, along with the spider (attached with thread). The pumpkin has been coloured with copics along with the hidden element...... go to my blog for the reveal! It's spooky!!! Jenny This was such a fun challenge! I've rotated the sketch but otherwise kept things quite simple. All the elements came from the Candy Doodles CD except the house which is from All Around and Everywhere. The three brads are on there too...can you spot them? Good luck in entering the challenge - please remember the sketch and theme as above and also that we allow up to 9 other challenges to be combined with the Polkadoodles one. Sunday 19 September at 12noon GMT is the closing date! Welcome to another Polkadoodle Challenge! The weeks are certainly flying by and before we know it Christmas will be here! This week it is my turn (Ruth) to host the challenge and I've asked the Design Team to use pick one from a choice of three of the brand new templates which were released in July. The templates that I asked them to use were Baking / Gardening Theme, Twittie-Twoo and Hugo Pandapaws. So my challenge to you is to create a shaped card. I don't want to see squares, rectangles or circles but something unusual. If you are a little short of inspiration, have a look at the samples the Design Team have created for you! Congratulations! Please contact Nikky for further details! If you want to join in with our Shaped Card challenge, there are a few little rules that need to be followed to be eligible for a top three spot. Please follow the theme, enter your creation into a maximum of 10 challenges (including Polkadoodles) and link up before Sunday 12 September at 12noon GMT with the blue frog below. Simple! Ruth: I've used the Hugo Pandapaws template and I've used hammered cream card and brown card, layering up the elements. I've added white gel pen highlights and also two large wobbly eyes. 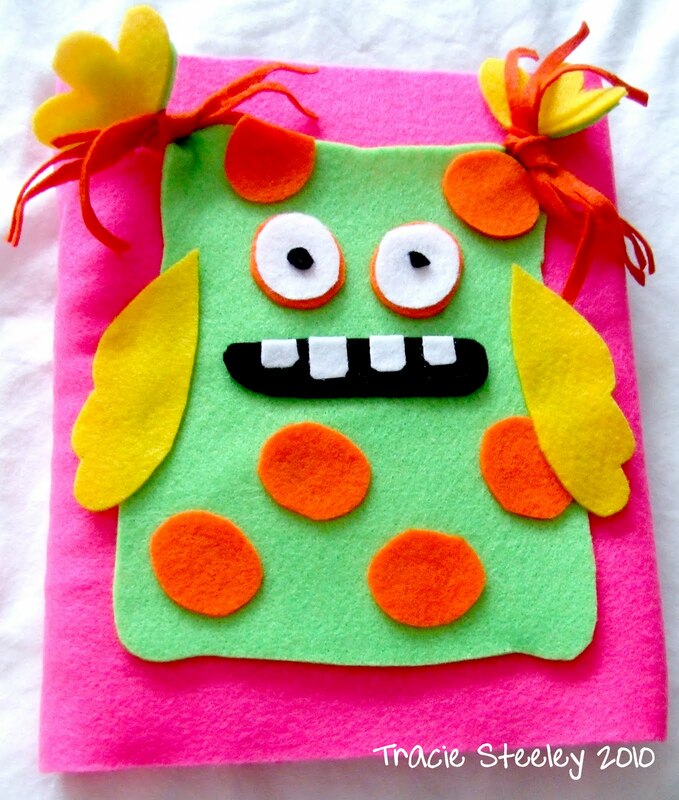 A really lovely template to use and it can be adapted for babies! 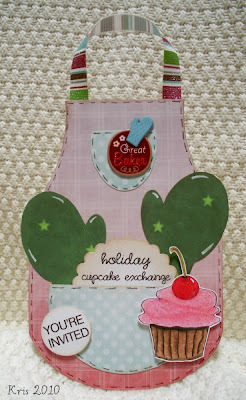 Kris: I used the apron template for this cute little invite to a holiday cupcake exchange. I did reduce it to 80% and cut the top on the fold of my invitation. All of the papers are from the Creative Christmas CD and the cupcake is from the Sugar Birdies CD. My sentiments are computer generated and I added a chipboard badge I found hiding in my stash to the upper pocket, some doodled stitching and some Christmas ribbon for the neck piece. Lou: I have used Hugo as my template and made a picture frame with him . . . for a girl! All the papers are from Candy Doodles CD. I have added extra features to the face to add a little "cute" character feel. A big smile, blue eyes and those drop dead eyelashes. Finally finished with a little inking and faux stitching . . to make it look a little real (!). I even made a stand on the back so the frame can stand up properly . . I hope. Tracy - I have used the apron template, and made it into a Gardening apron, the papers are from the All Around And Everywhere and the Candy Doodles CD's. The butterfly is from the Fairy Flutterfly stamp, Meeshelle. Claire - I have used the apron template to make a note pad cover and added the gloves to a ribbon to tie the gift together with its stationery creating a gift tag. My papers are from the All around and Everywhere cd. 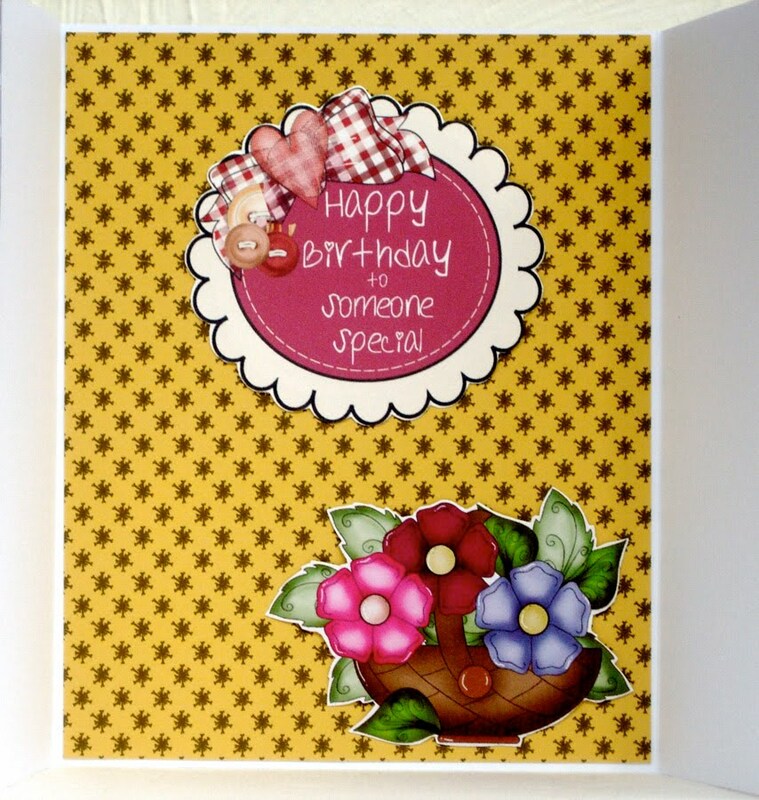 Dee: As I've been making samples for Nikky I have 2 cards that fit this weeks challenge, so I've decided to put them both on for your inspiration. The first card is using Hugo Panda Paws template, but I changed his ears to turn him into a dog. Well that was the idea anyway, I'm thinking he looks more like a rabbit now! All the papers and bits are from Paper Boutique Vol 2 and I printed onto pearlescent ink jet paper. 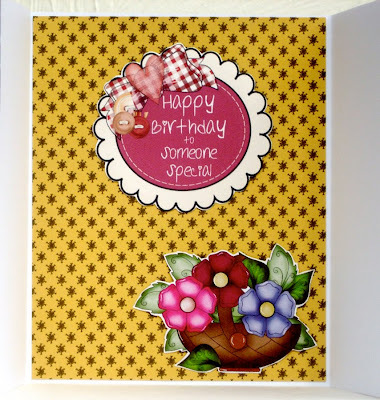 My second card is using the Baking Time template and once again I used Paper Boutique Vol 2 cd for the papers. This would be the perfect Christmas card if you have a keen baker in the family. Fliss: Bit of an oops! here as I finished my project before I realised that the challenge was actually to make a shaped card but I thought it a shame not to show you what else you can make with the lovely Baking Time template. 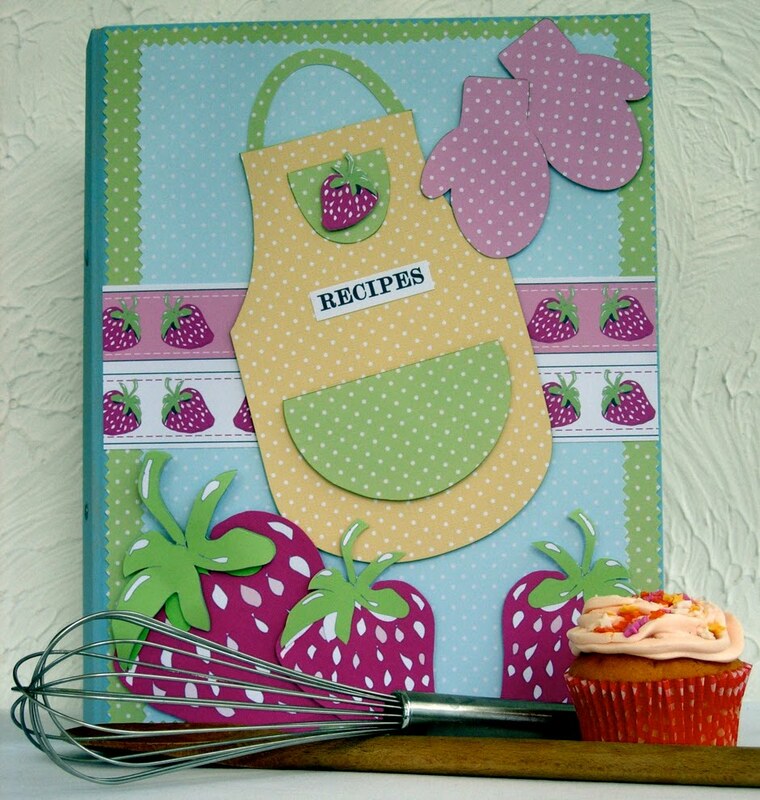 I've made a recipe folder from a blank kraft ring binder to hold my favourite baking recipes. I used the lovely papers from the Funky Flower section of the Paper Boutique CD combined with the scrummy strawberries from the Candy Doodles CD as the mouthwatering shades match up so well. A bit of trimming with my pinking shears adds a pretty decorative edge. More pics are on my blog. Lisa - I guess the apron template was a popular choice this week because as you can see I have chosen to use it as well. At first I was going to make it into a card but now I am so in love with the way it came out, I just might pop this little cutie onto a recipe journal for my daughter! I used background paper from the Candy Doodles CD and I am so thrilled with the way this sweet little apron turned out, I am going to have to make another one! Nikky Hall has done it again! 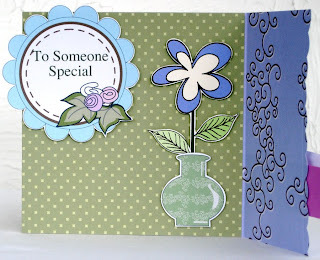 Super cute template and SO MUCH FUN to embellish! Tracie: I used some colourful felt and the Twittie-Twoo template as a base to make this cute little monster notebook cover. Good luck and don't forget the challenge entry rules - deadline is Sunday 12 September at 12noon GMT!